Let Us Showcase Your Property!!! Hey there! Thanks for dropping by dothanhomesforsale! Take a look around and grab the RSS feed to stay updated. See you around! Call (334) 792-7474 anytime for personal service on any Real Estate in Dothan.  Enter your email address to follow Berkshire Hathaway HomeServices Showcase Properites blog and receive notifications of new posts by email.